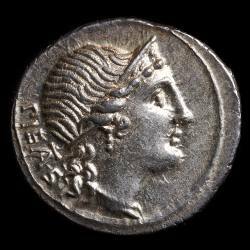 When some years ago I became interested in Roman coins and the world of collecting, it was impossible to imagine the changes that would come with technological advances and social networks. I have always found history fascinating: to relive the details of what happened centuries ago, especially the medieval past and the characters and settings of classical antiquity, in particular those of Republican and Imperial Rome. Even today, Greek thought and the foundations of Roman culture are recognizable in most Western countries. It is impossible to disassociate from classical sources many scientific foundations or modern institutions in fields as diverse as law, language, political organization, philosophy, architecture, mathematics, sculpture, astronomy and geometry. What is particularly admirable is the imagination of those who created the legends of the gods and the Greek and Roman heroes and of those who developed the complex networks of classical mythology. This has inspired countless artists and works of art through the ages. 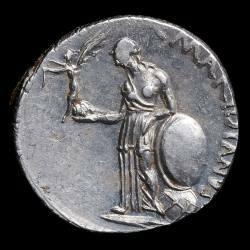 The interpretation of the past can’t be understood without numismatics. 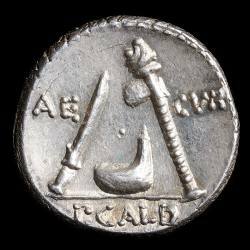 Those who share this hobby instantly recognize the feelings transmitted by the original of a coin over two thousand years old. The experience is even more intense when the coin is beautiful and well preserved or when, because of its rarity, it is hard to find. But the collector is usually prudent and very discreet with his collection. Apart from very exceptional cases, it is rare to have free access to private collections. Due to an aversion to risk, private collections are not usually seen out of the inner circle of collectors and their collaborators, who generally have sought to avoid notoriety and have managed to protect the collection from curious and prying eyes. With the arrival of the Internet, the situation is now so different that this new scenario was probably the determining factor in my decision to present The Dioscuri Collection. 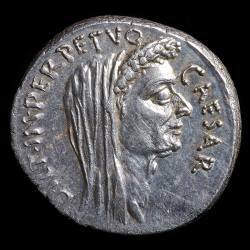 The Dioscuri Collection is a private collection of Roman coins that tries to collect the denarii minted from their initial appearance to the imperial emissions at the time of Augustus. Then, up to about the middle of the third century AD, is intended to be comprised of a portrait of the emperors who succeeded Augustus and some of his relatives. 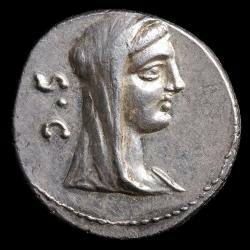 Sporadically, you will find other coins that coexisted with the denarius at different times in its long life. 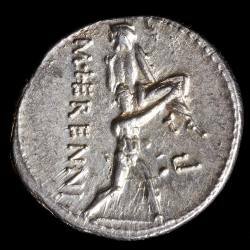 As a complement, despite not being properly Roman coins, I considered it of interest to continue the tradition of including emissions in silver from neighbouring villages during the Social War. In general, the comments that appear in the records are a literal reproduction of the comments posted by the auction house in the catalogue. As for the images, the web provides tools to visualize the coins with the highest quality and maximum detail. Except where the bottom of the photograph refers to an auction and a lot number, all coins displayed on the website belong to the collection and are identified with a catalogue reference. All photographs have been taken directly from the original and reproduce the coin without any retouching or editing. Over time, the website will attempt to incorporate additional content, which can be accessed from the homepage or from a tab at the bottom of the page of each coin (More). The collection is presented simply and with an easy navigation system, providing a result that I hope will appeal to visitors and that is appropriate for the purposes of the website. Creating and producing content for this website is still a pleasure. ◦ whether to expand the information dedicated to a particular coin, in which case the request will be sent through the link at the top of the individual record for each coin (Want to participate?). All this with the dual aim of promoting interest in history and contributing to the dissemination of numismatic knowledge.